The aircraft was one of the most significant inventions of the early 20th century. In modern life, the aircraft has become an important means of transportation for people to travel. Aircraft grade aluminum sheet is the primary structural material of modern aerospace industry with high strength, good tolerance, stress resistance and anti – stripping corrosion function. At present, the aluminum industry in developed countries continuously develops new aluminum alloy thick plate with excellent functions, which is widely used in aircraft frames, all the wall plates, landing gear, skin and so on. Aircraft skin is the appearance of a metal layer with good aerodynamic characteristics. The role of the 2024 aluminum sheet for aircraft skin is to maintain the shape of the aircraft, making it have good aerodynamic characteristics. After the skin is subjected to aerodynamic force, the force is transmitted to the connected fuselage wing frame, and the force is complicated, and the skin is directly in contact with the outside, so that the skin material is required to have high strength, good plasticity, smooth surface and high resistance to corrosion. The use of 2024 aircraft grade aluminum sheet fully meets the performance requirements of aircraft skin. 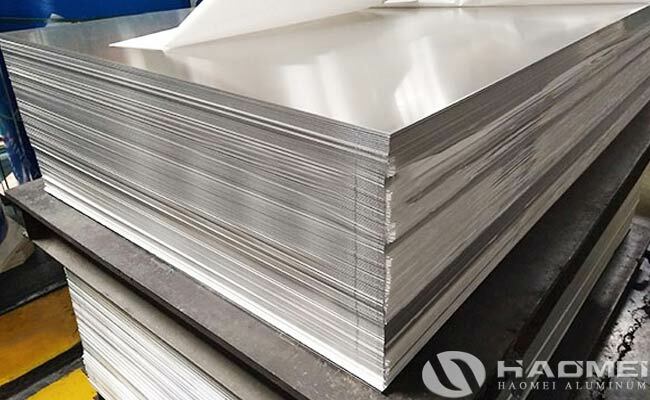 The 2024 aluminum sheet plate is one of the Al-Cu-Mg alloys, it is a heat-treated and reinforced aluminum alloy with high strength, low specific gravity, good heat resistance, high fatigue strength and other advantages, and are widely used in aviation, aerospace and other fields.